Maximize customer service efficiency by empowering customers to edit their account info, pay their bill, view information about their services, view past invoices, and open tickets. 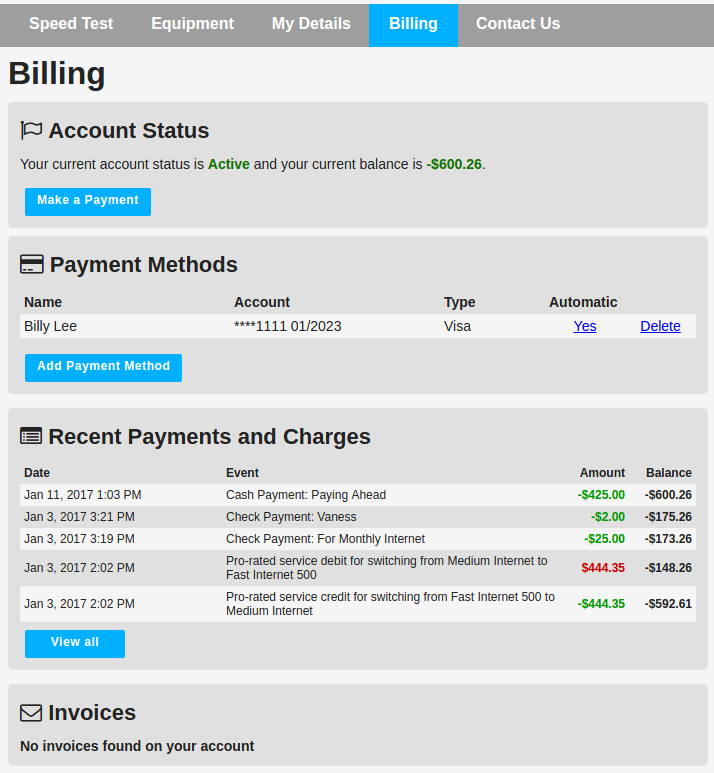 Allow your customers to make or schedule payments via credit card, echeck, or bank account. Let customers view their data usage on a daily or monthly basis. Notify your customers of any impending penalties from within the portal.